It has become an attractive global town as people from different parts of the country as well as the world are coming here. The reason is simple– the infrastructure development has been growing twice as compared to many other metro cities in last three years. And also job opportunities are shown tremendous growth as the city has many national and multinational companies. Apart from this, due to world class premieres educational facilities has also acclaimed the Pune as the hub of educational institutions. Thousands of foreign and Indian students are coming to Pune due to its higher education ranking. It is well known that city is not behind in elite art and cultural institutes. One can easily get all the courses such as the film institute and theatre of arts & drama. Even, Pune is known as one of the cultural centers of Maharashtra. It is one of the major cities of India in which IT industry has thrived and attracted thousands of IT professionals for employment. 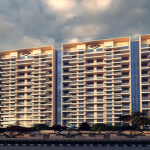 All these are factors for the growth of the real estate market in Pune. Many industrial sectors including technology, communication, transportation, and more crucial for the growth of the commercial real estate market in Pune. The economic environment of Pune is so welcoming that even at the period of slow Economic growth it is inviting investors and realtors from all over the nation and the world. Even it is surprising to see that Pune real estate market has not been much affected by the economic recession. 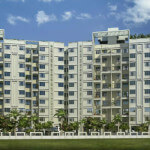 The reason behind is that Pune has a strong infrastructure and good position in the real estate market. 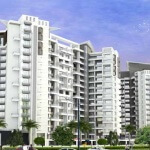 The city is considered as the leading edge of real estate market development. There are many reasons to invest in the real estate market in Pune. The stable growth of real estate in the town nicely helps the investors to have short sales and surprise extra income. A real estate data and analytic firm recently conducted a study that shows that the real estate market in North India has been reduced and due to steady growth in the real estate market in Pune. Even more surprising is that city has been ranked at number 2, and has consistently maintained the number 2 rank since 2009. Due to the affordable rates of property, the suburban areas of Pune are the most appropriate place for investment. The suburban areas of Pune provide the peaceful and calm environment, avoiding the busy lifestyle of the city with excellent transportation facilities which offers access to any region of the city in a few minutes. Growth predictions for these areas are much more positive than that in the center of the city. That’s being said the real estate market of Pune offers a great opportunity to invest in commercial as well as residential properties. In such a way, if I as a leader in the real estate market can say that city offers adequate possibilities for all kinds of investors. 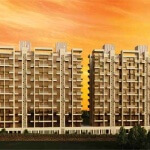 No doubt, to invest in the residential property in Pune is treated as best invest of ever. Although the availability of residential property is less as compared to demand, still Pune has optimum space to invest in. Day by day the requirement is going up as more and more people are coming to settle here. Thanks to industrial revolution even middle-class families are investing in residential properties in Pune. They are investing in their dream home to live an ideal life.